McColl’s Group Holdings was acquired, in May, by an investor club known as Friesian. The club includes new CEO Simon Thornton and Chairman Mark Mentha – both familiar faces at the company. “It is great to be back in the driver’s seat at McColl’s,” Mr Thornton said. McColl’s new board members include James Macdonald, a partner in law firm Piper Alderman. James specialises in commercial law and had previously served McColl’s in negotiating customer contracts. Friesian’s plans are long term; the club intends to invest in McColl’s over time to see what kind of company it can grow into. “We have new employees arriving all around the company. We are hiring new drivers and trainers; there are also new graduate business analysts, compliance, safety, operations and financial people. “The Dairy Division is commissioning 10 new pocket road trains to cope with its extra work. The Bulk Food Grade Division and Bulk Chemicals Division are also expecting new tankers and prime movers to arrive in the next few months. McColl’s is committed to providing reliable service by investing in new and innovative equipment. 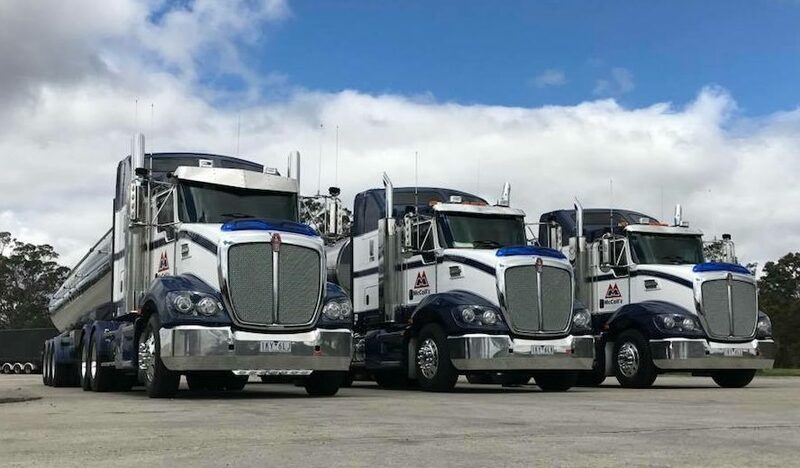 Recent fleet upgrades and additions include 40 prime movers and 24 tankers. Among the big additions are six new Byford road-trains and three new Tieman 26-metre road trains for the Dairy division. These road trains feature steerable axles, providing better maneuverability and easier and faster access onto farms. The road trains are also capable of carrying a bigger payload, which is a welcome boost to McColl’s haulage capacity. The six Byfords are headed for the Dairy regions of Northern and Western Victoria and South Australia, while the Tiemans are headed for NSW. Other additions to the Dairy Division included one Tieman 30,000-litre single tanker; two Dunn Engineering dollies; and four 30,000-litre Byford single tankers. The Dairy Division has purchased 26 Volvo FM 540, one FH 540 and three Scania R560s to replace older assets and growth. McColl’s has purchased two new Evolution tankers made using carbon fibre composite materials, with a polyethylene thermoplastic interior for the Bulk Chemicals Division. This means the tankers are far less corrosive and suitable to transport a wide range of liquids. The thermoplastic interior also reduces absorption which means that we can switch safely between different products after a wash out. Two new Tieman dangerous goods stainless tankers have been ordered to work as a pocket road train in Western Australia, two Byford stainless DG leads to work as B-doubles on the Eastern seaboard and two Marshall Lethlean stainless lead tankers. 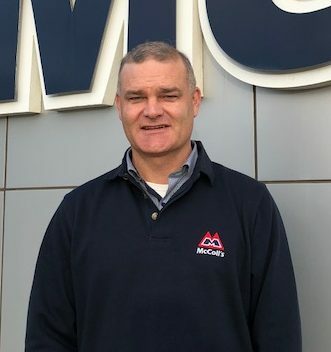 McColl’s Bulk Food Grade Division added nine Kenworth T409s, one Kenworth T610, two Scania R730s, two Volvo Globetrotters and one Tieman compartmented tanker to its Fleet. 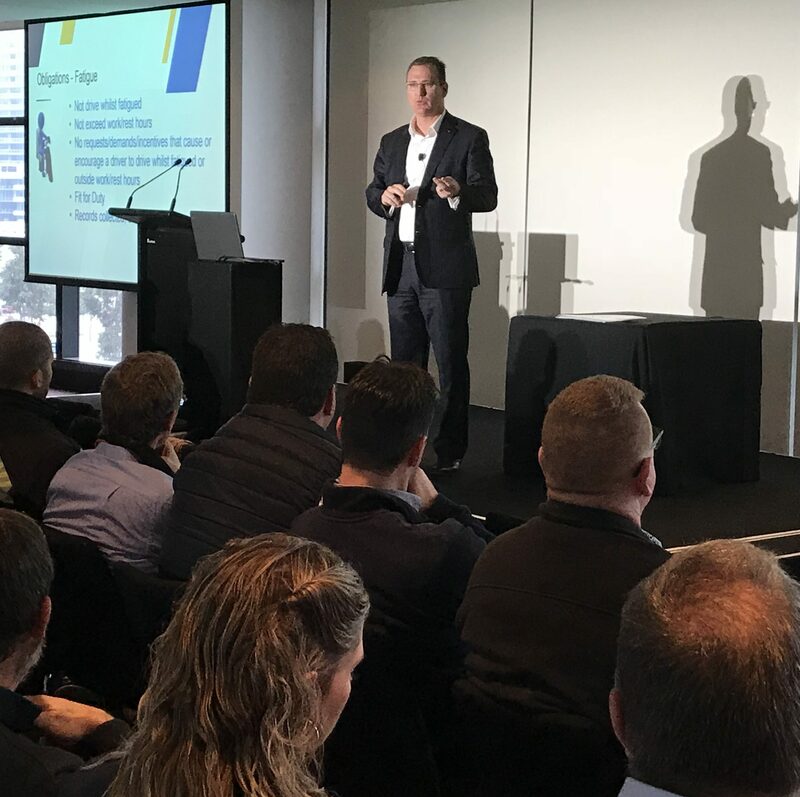 On a cool winter’s day in June, 80 people from McColl’s and many of its customers gathered at Melbourne’s Etihad Stadium to hear about changes to Chain of Responsibility (CoR) legislation. COR specialist Michael Crellin led the briefing session; with over 25 years of investigative experience from the Queensland Police Service, Department of Transport & Main Roads and the national Heavy Vehicle Regulator, Michael shared his wide knowledge of the new legislation. Throughout the workshop, there was lengthy discussion about the implications of the law changes, followed by scenario role-play to ensure that everyone was in tune with the changes and the different expectations of each individual in the chain. It was an informative and enjoyable afternoon with everyone taking away an increased awareness of the changes ahead. It was great to see so many of McColl’s business partners eager to work together to make our shared logistics operations safer for our people and other road users. With nine years’ experience behind the wheel, doing everything from driving long haul to installing underground fuel tanks, WA Operations Manager for the McColl’s Bulk Chemicals Division, Nicole Trounson, has a solid grasp of the transport industry. 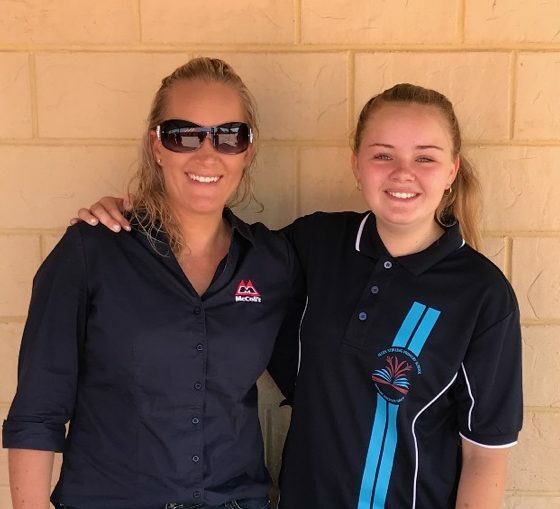 Last year, Nicole (pictured left with her daughter) decided to get off the road and take on a new challenge – becoming the Operations Manager for McColl’s Bulk Chemicals Division in Western Australia. “I love driving trucks and being on the road but it was time to try something new and this role uses all of the experience I’ve gained over the years,” said Nicole. Day-to-day, Nicole manages a multitude of aspects of the business from customer requests and HR issues through to truck break downs at any time of the day or night and, occasionally, filling in behind the wheel, with the bulk of deliveries going to mine sites across WA. “We are a small team with five drivers and when you are covering such a large area hauling dangerous chemicals like sodium hypochlorite and solvents, you always have to be on the ball,” Nicole explained. This is Nicole’s second stint at McColl’s. So, what drew her back to the company? “I like the people I work with, not just in my team but right across the country,” she said. Justin Keast, General Manager – Bulk Chemicals Division, said Nicole’s dedication was great to see. “Nicole is very customer focused and she has built a great rapport with our WA customers. She understands what the customer needs and does everything she can to ensure that those needs are met,” Justin said. Thank you for subscribing to Moving Forward eNews. © 2017 McColl’s Transport. Developed by Jaensch Design.